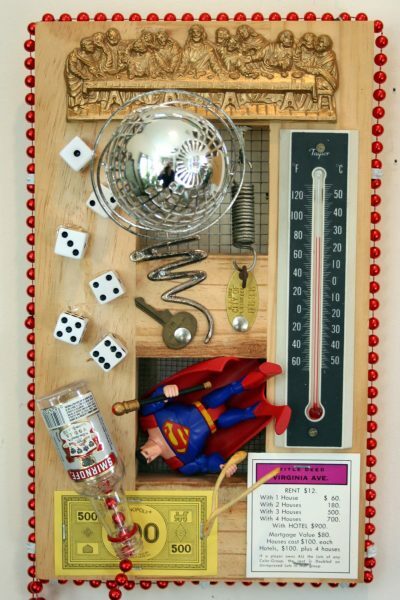 Steve Applegate presents: Superman, a series of ten assemblages to explore the following truths about Superman. 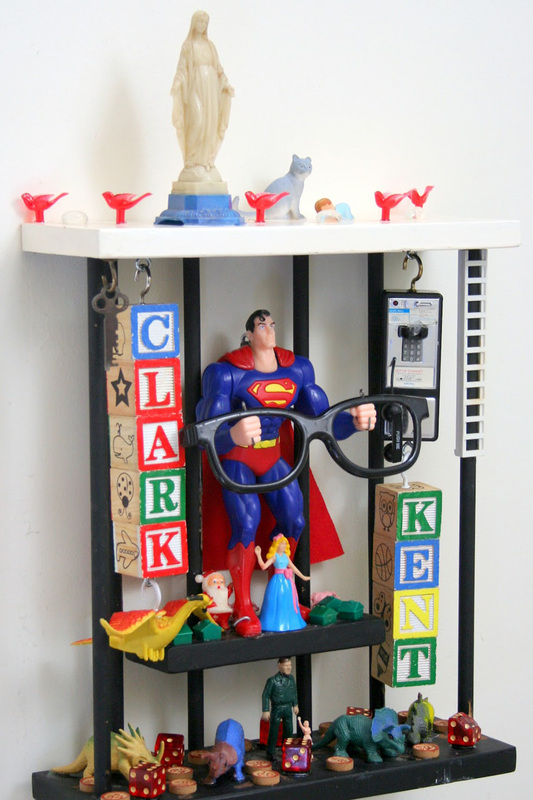 Is Superman our struggle between spirituality vs. self-will? Is Superman the magic bullet of society? Is Superman a societal enabler, solving social ills with one painless swoop, allowing us to avoid personal responsibility? Is Superman ironically an anti-hero? 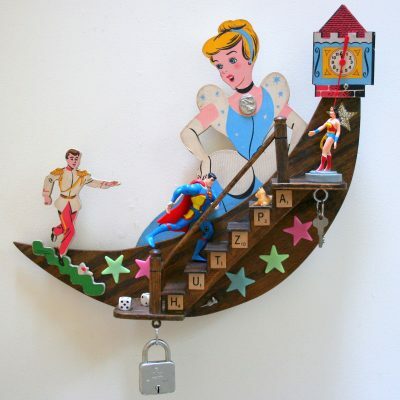 Is Superman actually a stubborn, clueless man who awaits the “House of Mirrors” as Don Quixote did? Finally, will Superman on Judgement Day have to answer to a power greater than himself? The exhibit will be in the Corner Gallery. © Art Works, Inc. | All Rights Reserved | All images are the property of the artists and may not be duplicated without permission.